Last week has witnessed an unexpected development in the South Sudanese Civil War. Shortly after an arms embargo was imposed on South Sudan by the UN, the conflict parties, represented by President Salva Kiir and rebel leader Riek Machar, agreed to sign a preliminary power-sharing deal. The final agreement that should bring peace is planned to be signed on August 5. South Sudan has spent the majority of its short existence in a state of civil war that started in 2013. President Salva Kiir accused then vice president Riek Machar of plotting a coup. The two leaders represent the two main ethnic groups, Kiir is a member of the Dinka while Machar of the Nuer. The fighting started after Machar was forced to resign. Tens of thousands of people have died; 2,5 million people were forced to leave the country and hundreds of thousands remain internally displaced, causing a large-scale famine. According to the agreement, Kiir will remain president of South Sudan and Machar will return to the post of the first vice president. There will be four more vice presidents shared between other political groups. After the final treaty is signed, the parties will have three months to form a transitional government which will hold power for three years. While the composition of the transnational government and parliament seats has been agreed, negotiations about power sharing on the regional level continue. Nevertheless, it is still early for optimism. In the past, several ceasefires and agreements have been signed, only to be violated by both parties. Moreover, the opposition is fragmented into several groups which are burdened by grievances and a hunger for revenge. This makes it harder to observe the ceasefire and some groups have already rejected it. The United States warned that another power-sharing agreement may only “sow the seeds of another cycle of conflict” since the working relations between Kiir and Machar are bad. On July 25, the so-called Islamic State (IS) led a coordinated attack on a government-held territory of southwestern Syria. More than 200 people were killed, which puts the attack amongst the deadliest in years. IS has been gradually losing territory in Syria due to the offensive by Russia, US, and other parties. The group is now launching insurgency operations from remote parts of Syrian territory putting pressure on Israel, which wants to make sure that the Iranian forces and allied groups stay away from the disputed Golan Heights. According to reports, Israeli and Syrian officers held three meetings in the Golan recently, mediated by the United Nations Disengagement Observer Force (UNDOF) and Russian officials, discussing the return of the Syrian army to its posts near the border. At the same time, Israel shot down a Syrian fighter jet which entered the Israeli air-space and reported two rockets launched by the IS landed in Kinneret, likely incidents from the internal fighting between the Syrian and IS forces. While Russia made an offer to keep the Iranian forces from the Golan, Israel rejected the proposal and stated it will accept only a complete withdrawal of the Iranian military from Syria. Israel is wary of Iranian long-range weapon capabilities and wants to avoid the “Lebanization” of Syria. A few days ago, Pakistan experienced only the second democratic transition of power in its history. Two parties, the Pakistan Muslim League-Nawaz (PML-N) and Pakistan Tehreek-e-Insaf (PTI), were the main contenders. PML-N, led by Shahbaz Sharif, brother of the former PM Nawaz Sharif, had a worse starting position, caused mainly by corruption charges and other scandals. On the other side, PTI with Imran Khan, former cricket superstar and anti-corruption populist, benefited from Khan’s popularity. Khan is a well-known Pakistani figure, he is “one of the few people who made Pakistan proud”, winning the final match against the ex-colonial superpower, Great Britain, at the 1992 Cricket World Cup. The PTI leader studied politics, economics, and philosophy at Oxford University, and after his mother died of cancer, he financed building a hospital to make cancer treatment accessible to every citizen of Pakistan. The elections did not go smoothly and were accompanied by violence, a bomb in a polling station killed 31 last Wednesday. Imran Khan and PTI claimed victory with 117 seats in the national assembly but a series of objections have been raised, despite the promise by the PML-N, they will not boycott the elections. 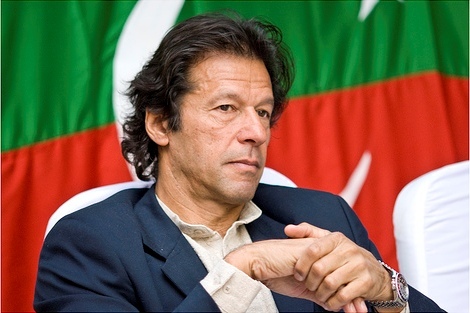 Imran Khan is believed to be backed by Pakistan´s military and is facing accusations that he benefited from the army’s interference. He clearly stated his relationship with the army in the New York Times interview. “I will carry the army with me,” he stated. Even the EU monitoring team notified the “lack of equality of opportunity” and “systematic attempts to undermine the ruling party” during the election campaign. On the election day, 371 000 soldiers were deployed, to secure fair and free elections, which was also considered it an act of asserting control.